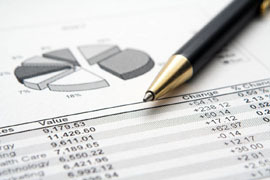 One of Purisolve’s strengths is financial modeling. We can help determine business cases for new projects, return on investment, and expected revenues and costs of new initiatives. We are able to develop business tools with user-input assumptions so that various scenarios can be analyzed to enable the best business decisions. With any financial model, the outcomes are only as good as the assumptions with which the model is built. Purisolve works closely with our clients to validate the assumptions used when building a financial model. These assumptions include expected inflation rates, opportunity costs, and market conditions related to the model.